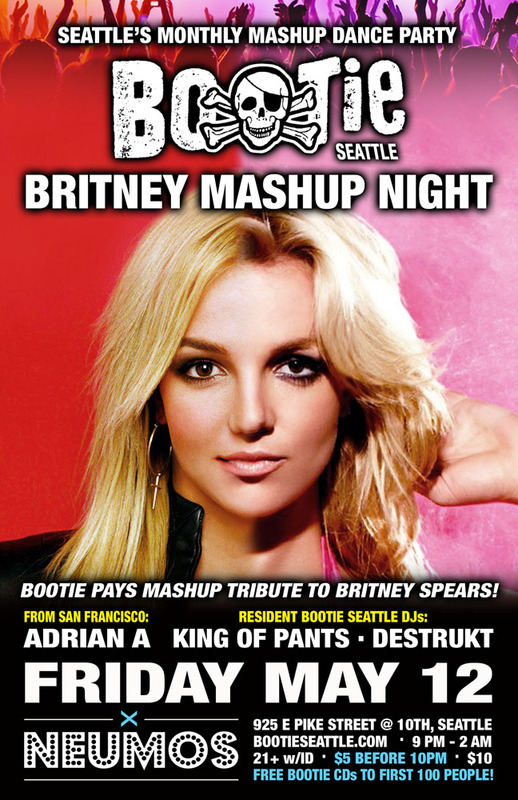 Seattle Bootie Seattle – Britney Mashup Night! Britney Spears mashed up with anything and everything throughout the night! Bootie Seattle pays tribute to pop music’s comeback queen, Britney Spears! Everyone’s favorite crazy pop diva will be getting the Bootie treatment, with Bootie co-creator Adrian A coming up from Bootie SF to join resident DJs King of Pants and Destrukt, as they mix in mashed-up and remixed versions of Britney songs throughout the night!